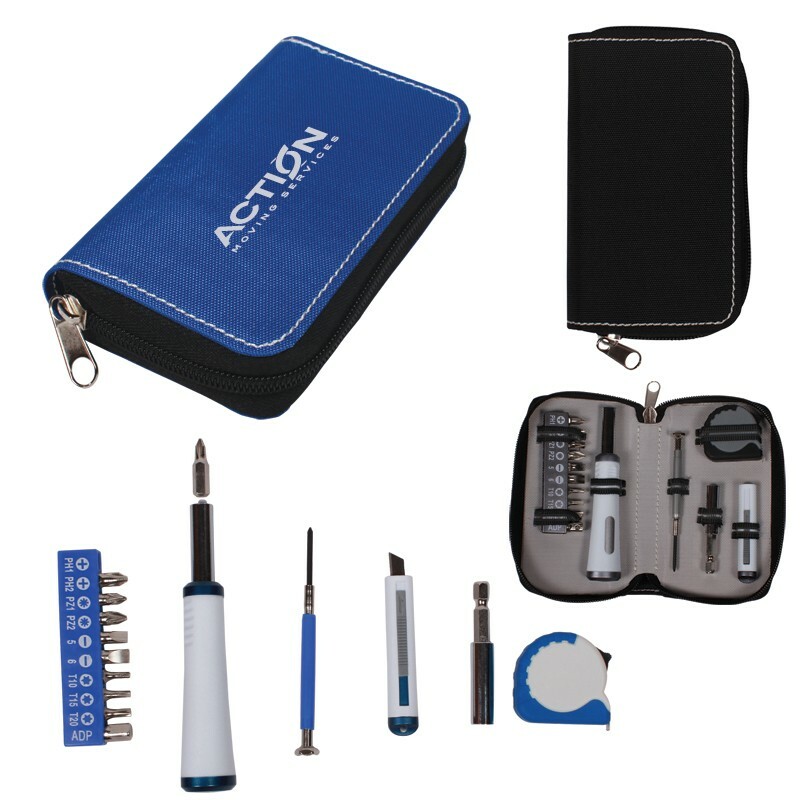 It's a 15-piece collection all packed into a nylon gauge case with a zipper closure. Included are 10 assorted bits for the 1 precision screwdriver with 1 interchangeable handle, 1 60mm extension, 1 mini box cutter / utility knife, 1 3 Ft / 1 M tape measure with US and metric measurements. Your imprint is available on the container only, so screen print it to get your brand seen by everyone. This is great to hand out to customers who are very much into DIY projects.